In the city, in the countryside, in the mountains; the itineraries we have selected for you reflect our passion for escape and fresh air. 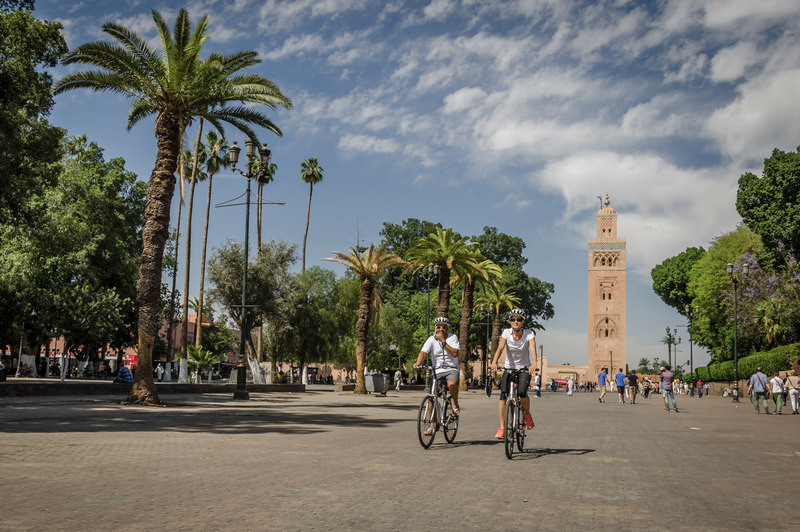 On the city side, Dunes & Desert invites you to explore mythical Marrakech by hybrid bike to freewheel through the old medina and explore its winding alleys, colourful shops, exotic perfumes and colourful suprises. 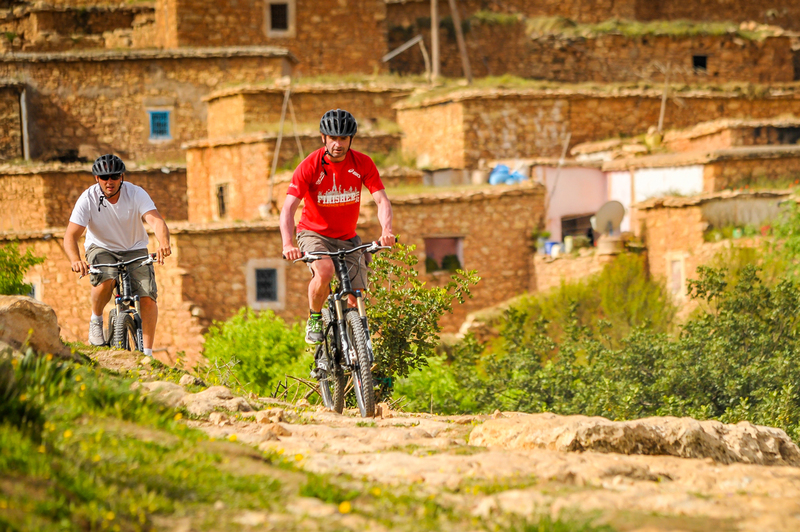 As for the countryside, we have also chosen for you great paths through the rocky Jbilets desert just a stone's throw from Marrakech, North of the Palmeraie palm grove. 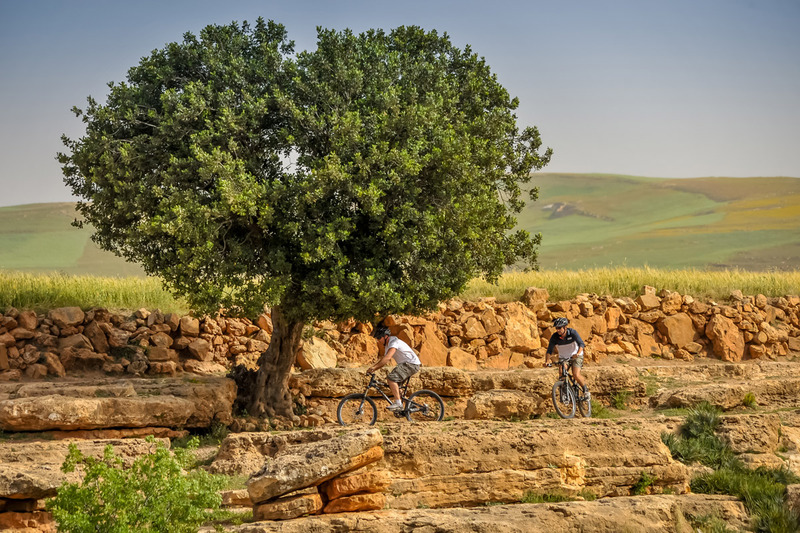 Cross local villages along easy access tracks to discover a vast arid and desert plain encircled by surprisingly green mountains. 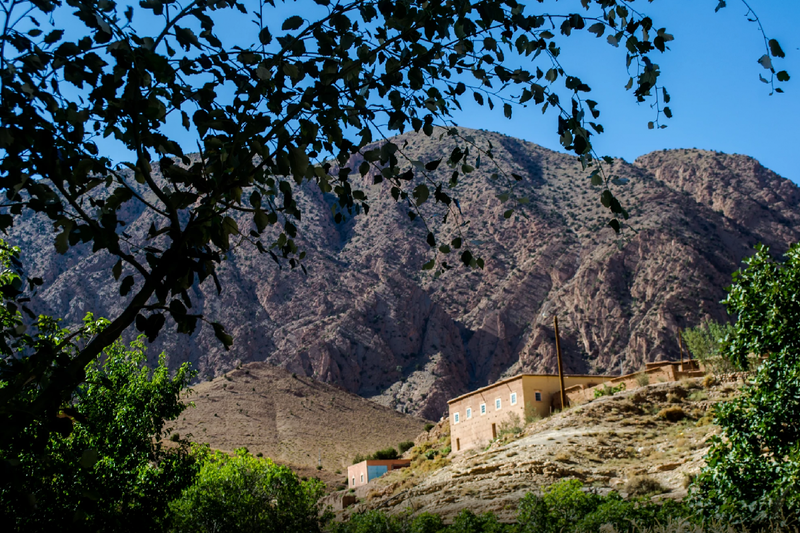 For those who love mountains, Dunes & Desert also offers great paths through the Amazigh lands of the High Atlas in the heart of an exceptional terrain for all manner of adventure. 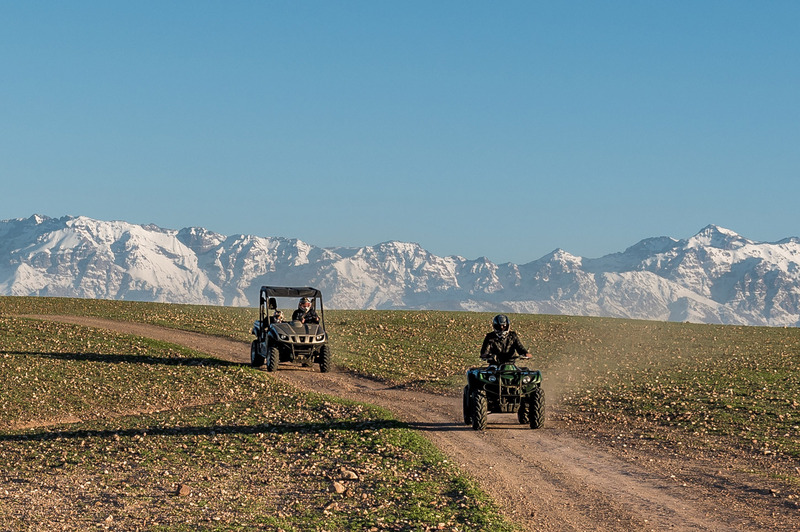 In the company of an experienced guide and with support vehicle, leave the beaten (ridden) tracks and ride in full safety along the foothills of the highest mountain in North Africa. 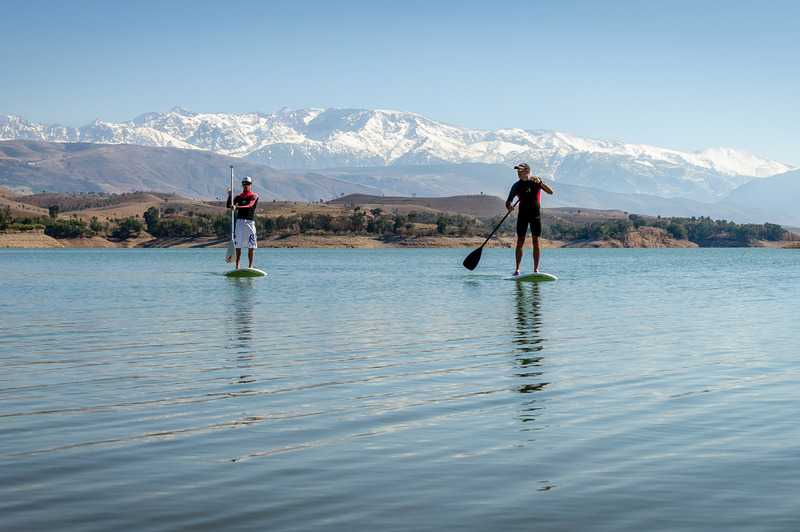 Morocco offers more than a surprise and we are here to plan your adventure on the run! Our equipment is in perfect condition, adapted and fully responsive and provide couples, friends or families with the full operational support of seasoned professionals.